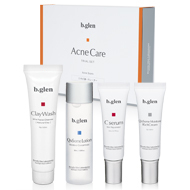 When acne becomes irritated and inflamed, it can leave scars and craters. Acne scars cause an uneven surface and pigmentation on the skin, making a smooth makeup application difficult. Why does acne leave scars, even after it has healed? The crater-like appearance of the skin is caused by swelling and damage. Skin becomes unbalanced, creating a chain reaction of irritation and an excess amount of pigments, or brown stains, which remain on the skin. Inflammation begins deep with the layers of the skin. 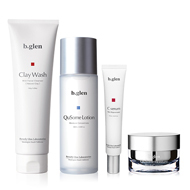 To effectively treat damage and diminish the appearance of acne scars, redness and swelling, targeted, soothing treatment products should be used daily. This will address existing damage, free skin of excess impurities while helping to soothe and strengthen, keeping skin in top condition to prevent future breakouts and damage. It will appear smoother and healthier-looking. Slough off dead skin, ridding complexion of impurities to promote a healthy glow. Hydrate to lock in crucial moisture while helping to strengthen and soothe skin.